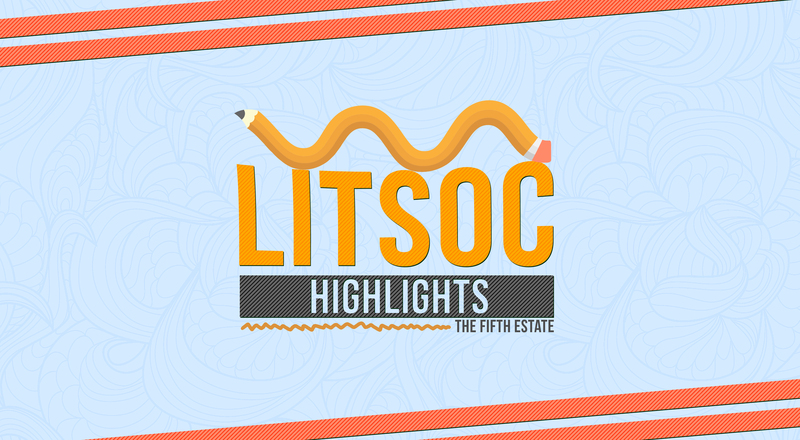 As the fight for the LitSoc Shield (and hostel glory) draws to an end for the semester, T5E presents all the top five winning entries under the Poetry and Prose categories of Creative Writing(Solo). Prompt: It was like a vivisection. if only at the fingertips. its laws to be empty words. to court aching, to ache is to ache more. I live. I live. I live. Prompt: Begin with “Did you all just feel that?”. For the past five months, two weeks and two days. In the midst of endless despair. About things I didn’t know existed. Even though she lived next door. That I had not known till then. Which made my mind go hunting for raw emotions. To redeem for his infidelity. Filled with guilt and desperation. And I swore to revenge the insult. For the first tremor came the very next day. Diana looked queer within the titled frame. I felt a grim satisfaction. And then came the tornado. Capable of yielding boundless powers. Fraught with terror instead of wistful sighs. I was confused and looked at Diana. While the wall kept up its relentless crusade. I ran back to the kitchen and shut myself in. And wept a silent prayer. They found the body the next day. Or let the memory disappear into oblivion. To behold Diana for one last time. Without the slight hint of a blemish. As if death was indeed her last wish. Raw and venereal, the scars looked unflinchingly familiar. And a brand new painting of Helen. Prompt: Such a queer box this is. Where welding work had burnt through them. Another for an unmet friend. Neither scientific evidence, nor predictions. Up the old man’s throat. Above, the macho man who never Putin his papers. Near home, the Paks packing them. And told him that the bombs would not come. And once an old friend. Of him being in range of the warheads. But he thought him to be mad. And other unheard beasts assaulted him. In his chair, struggling for breath. The old ones craning unsuccessfully. But never a nuclear winter. Being here, the best of the best. Not knowing what it is to rest. Leaves us wanting just a little more. It’s a game of lock and key. Of forms completely alien to me. If to only not lose face? Turns to resentment and fear. Is it only upwards that I have to grow? For how else will you bear the weight of snow? Beaming at all those who looked upon. He realized his mother’s con. And most definitely not long. Was now all but indemnity! One that seemed logical, almost profane. On others, kept him enchained. The one that only moved up. Now what was he, a shrub? My voice echoed weary and matt. Did anyone have a clue? What that comment would brew. Would take the awry way? Will mark an onset so blight? When this gave me a pause. And followed it, an eerie quiet. Leery of what the next second would show. ‘Fear, chaos and terror’ it spat. As if a gift, a blessing from heaven. In its clutches the neighbouring building a prey. Unprecedented fear, sweat beads filled my head. Danger, terror, paving a survival inclination. ‘Evacuate, no lifts’ and to it I did bind. With humanity, the stairs did swell. The root cause of all this fret. Phones were out consoling perturbed kin. Tranquillity, we began to ingest. To our neighbours, their futures a doubt. 140 feet had saved us from the impact. Life was nothing but dismay, distraught. And the first heavenly voice roared. Into the damned raging inferno. Their resolve, their grit, Oh! I did adore. A screech filling my eardrum. The iron and concrete phantom. From the man-made wonder, a mere crumb. The terminator of my heart’s blithesome. The instigator of my body’s journey to numb. The architect of pristine bedlam. The end I never did fathom. The sad truth of what I would become. But I was the iron monster’s captive. But their efforts, the monster did disregard. A number in the day’s rising toll. But in panic’s grip, I wasn’t worth their sight. To say to the world my goodbye. Would take such an awful way? A page from a calendar fluttered loose. Innocent lives, a count to gauge vengeance. This is an imagined account of a victim of the 9/11 attacks on the World Trade Centre. He is a person working in the South Tower, which was hit after the North Tower. The South Tower however crumbled first. The guardian angels in black and yellow are US firefighters. The 140 ft is the separation between the towers and the iron and concrete monster, a beam which crashed.